I don’t consider myself to be poetically minded or smart enough for poetry. I wish I could entrance an audience with beautiful imagery and captivating metaphors, but the truth is I’m not very good at reading poetry, and even worse at writing it. Perhaps this is why I’m so fascinated by the genre. To me, it remains a mystery, out of reach of my immediate understanding and well outside my comfort zone. Although I may not be able to write it, that doesn’t mean I can’t appreciate poetry and learn how to read it. I’ve talked to many people who seem to share the sentiment that reading poetry makes them feel dumb as if poems hold hidden secrets only the Robert Frosts and Sylvia Plaths of the world can understand. Surely this has more to do with the reader than the poet. I may not be a poetic expert, but still know the aim of poetry isn’t to flaunt “superior intelligence” or bolster the poet’s ego. Such perceptions can’t be blamed on the poem or the author’s writing, but how the reader is approaching it. In his poem Introduction to Poetry, Billy Collins brings this idea up as he writes about the many ways a person can interact with poetry. Collins focuses on exploring a poem rather than interrogating it for meaning. What I have taken from Collins’ work is that poetry is more than a poet’s monologue. It’s a way to open a dialogue between the poet and the readers. As with any conversation, every participant interprets the interaction differently. Poems allow for an individual’s unique experience to inform on the writing. Reading poetry doesn’t require being “smart enough” or even “poetically minded.” Perhaps then, there is no secret to reading poetry. 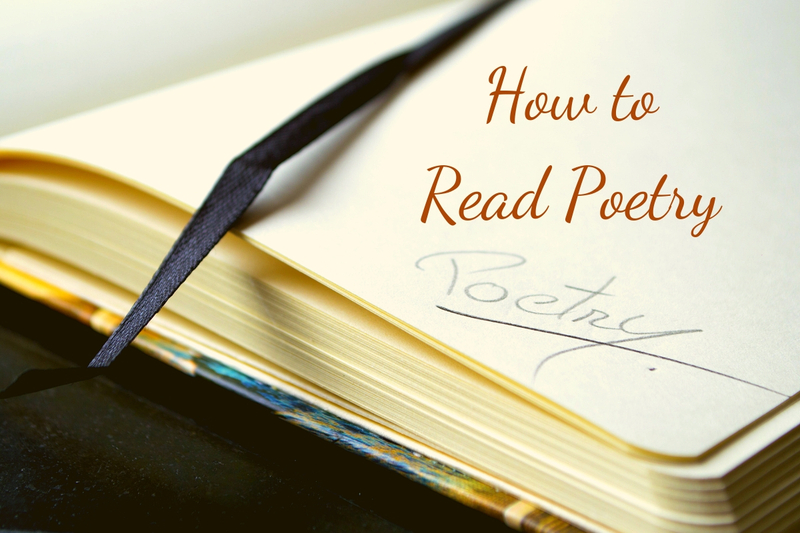 Maybe what I, and many others, have been struggling with is not the question of how to read poetry, but how to approach it. Click this link, to check out Billy Collins’ poem for yourself!